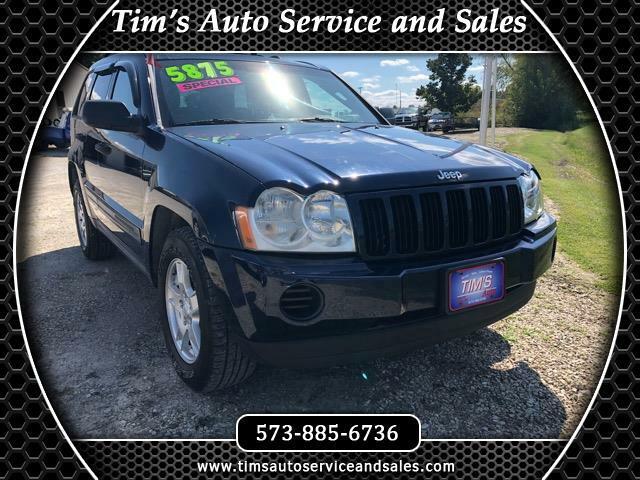 2005 Jeep Grand Cherokee Laredo Sport Utility 2WD--HAS NEW WINDSHIELD WIPERS AND FRESH OIL CHANGE. ALL VEHICLES COME WITH A MISSOURI VEHICLE INSPECTION. ABS Brakes, Air Conditioning, Alloy Wheels, AM/FM Stereo, Automatic Transmission, CD Audio, Cloth Seats, Cruise Control, Full Roof Rack, Power Locks, Power Mirrors, Power Seat(s), Power Windows, Rear Defroster, Tow Hitch.